Pastor Gerald Tugume and his wife, Barbara, work together to spread the Gospel message amongst the Batwa people. Gerald was born in western Uganda and orphaned at a young age. He experienced many hard realities early on in his life, but the hand of God was always upon him. The harsh conditions and experiences that Gerald grew up in prepared him for the destiny that God had for him in starting his NGO, Hope Ministries Uganda. A trip through his work to do Gorilla Tracking lead to Gerald hearing about the plight of the Batwa. Gerald left his work team as they were headed into the rain forest and instead searched for the Batwa. God pressed in on his heart and he eventually left the city of Kampala and sold everything he had to move to Rubuguri in the Kisoro District of south west Uganda. After a year of reaching out to the Batwa, he was able to win their trust and began leading them to Jesus Christ. Gerald had known his wife, Barbara at University where they did small ministries together in collecting school supplies for poor children. After leaving Kampala, he and Barbara lost contact. After some time the Lord pressed Barbara into Gerald's heart reminding him of her heart and desire to serve and share the Gospel message. Gerald contacted Barbara and shared his heart with her. After some time, the Lord confirmed to Gerald that they were suppose to serve together as husband and wife. They were married in 2015. The Lord has blessed them with two beautiful sons, Samuel Daniel His Grace and Mugisha Joshua Derry. 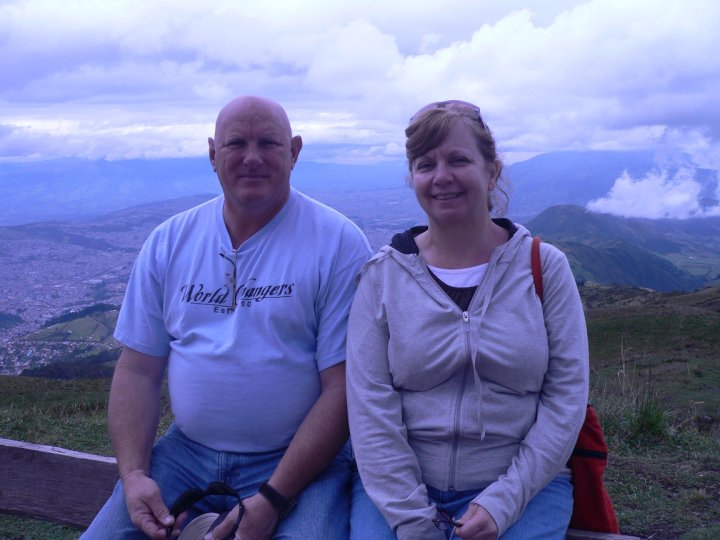 Sonya, with her husband Russell of 26 years, have been adoption and orphan advocates for over 15 years. Their hearts desire has been to reach the unreachable and to share the love of Jesus with the least of these. Sonya has been given a passion to work with children and women in all walks of life. Russell's heart is to pour into boys and men to help them to understand what it means to be a godly man. God has blessed Russell and Sonya with 15 amazing children (3 birthed from the womb, 12 birthed from the heart). Their hearts are passionate about missions and sharing the gospel message through being the hands and feet of Jesus. With over half of their children from Africa, the Lord has drawn her and Russell to international missions in Africa. “Go!” has been the motto in their home. Go and be the hands and feet and do for God with what has been placed in your hand. With her background as an occupational therapist, orphan care advocate, Daring Daughters leader, and teacher of the gospel message, God has given her passions that runs deep and a heart to serve in a special way. Russell's background as a respiratory therapist, orphan care advocate, teacher of the gospel message, and heart for serving has prepared him for this new God adventure. God began birthing the ministry in Sonya’s heart back in 2004. In 2014, God opened the door into Uganda and then after a year of praying with Russell, God directed them onto the path to meeting Gerald Tugume and his wife Barbara with Hope Ministries Uganda. 2015 was a life changing moment as they began to see the journey that the Lord had prepared them for over the years. Uganda has become home in their hearts. Barry Pierce and his wife, Rebecca, have served in missions throughout the states and overseas. They bring huge servants' hearts to the ministry and passions that run deep. Leah Stirewalt adds a beautiful dimension to our Hope Ministries Uganda board. Leah’s love for missions bubbles over in her life. Her heart for widows, women’s ministry, and orphan care overflows in her life. region of New Hampshire, seeking to live their lives fulfilling the great commission to go and seek the lost. A virtually life-long resident of the mountains of Western North Carolina, Leah now makes her home in Hickory, NC, where she and her husband moved to be closer to his work. However, Leah became “twice-widowed” in February 2017 when her beloved Joel was called home to Heaven after a brief illness (following the death of her previous husband in May 2011). She is now solo-parenting their four adopted young children, three from Bulgaria and one from local foster care. Additionally, she has one adult daughter in college, and four adult bonus children and two precious grand babies from her marriage to Joel. Since July of 2017, Leah has been serving her family in a full-time role, but has worked extensively in non-profit ministry settings since the age of fifteen in various capacities. She most recently served with the Billy Graham Association through the arm of Blue Ridge Broadcasting, the radio ministry founded by Dr. Graham. Leah is passionate about ministering to women, especially other widows, in addition to advocating for orphans and children from hard places. She served on the speaking team of Speaking Thru Me Ministries, on the writing team from A Widow’s Might, a division of a New Season Ministries and has traveled both domestically and internationally sharing the love of Jesus to women from all walks of life. Leah has also published a book, Rescued and Restored, which chronicles her first year of widowhood following the loss of her previous husband in 2011. Having already served in Liberia, Africa through leading women’s conferences, Leah is excited to work with the team from Hope Ministries Uganda, to use her gifts and spread her passions into the eastern part of the continent. She wants nothing more than to teach others how to live a life of victory in Christ Jesus – regardless of their past, regardless of their brokenness, and regardless of personal tragedies they’ve had to endure. She knows first-hand, Christ can heal broken hearts, spirits, and souls. If all is stripped away, He’s simply enough!